It’s a mild December evening in Minneapolis. Soft holiday tunes fill the warmly lit room at Cedars Hall church. Positive vibes radiate as local fashion lovers unite to celebrate creativity, community and collaboration. Little do the attendees know that a festive fashion bomb is about to drop. The room is bustling just after 6:00 PM as attendees begin to arrive. On the way to their seats, guests (and maybe some aspiring models) take the opportunity to practice their perfect poses in front of the "step and repeat" banner donning the Volk Magazine and Allina Health logos; a reminder that this fashion show is about more than just beautiful clothes. In this case, Allina Health’s logo represents the magazine’s commitment to supporting mental health awareness and care. Can we pause for a moment and appreciate the beauty in this collaboration? The connection between mind and body; between clothes and confidence…it is one we often forget. Fashion can and should do more to support mental health by encouraging people to dress for their own confidence and self expression…a message that carries throughout the remainder of the evening. As the attendees continue to flow in, a live fashion gallery of talented models offers beautiful pieces on display across the room. Guests don’t even have to wait until showtime to begin indulging in all the deliciously striking and seasonal pieces the talented designers created for this joyous event. 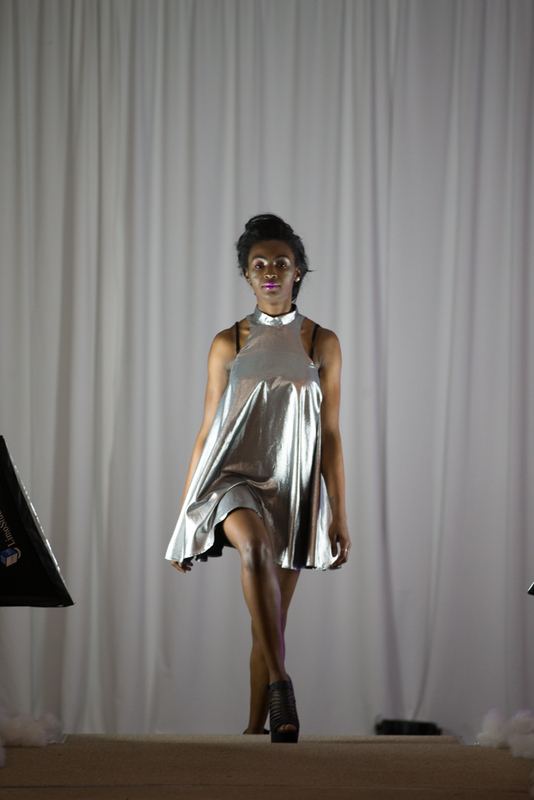 The show starts promptly at 7:00 with a pop when the statuesque models from the live gallery showcase their ensembles in motion. An especially eye-catching moment is when this stunning embellished and velvet gown from Maria Kochetkova moves down the runway. The show continues with Persistence by Elizabeth Linstrom throwing off some powerful vibes. The clothes coming down the runway would give any woman that extra confidence boost to take on the world like the beautiful badass that she is! This pantsuit look is a highlight of her collection that achieves the perfect balance between the menswear-inspired bottom and the more ladylike sweetheart neckline on top. We are treated next to Abbie Kenyon’s use of texture and Scandanavian inspirations. The wool bottoms and knit sweater in this look are oh so cozy but the slightly puffed shoulder adds just the perfect edge and interest to set her apart. To show her strength. The show next takes an unexpected turn as casual, yet impeccably dressed men and women bring a youthful vibe to the stage. Tosheed Thompson’s RHEY Apparel (Rare Hearts Electrify You) is all about diversity and embracing the differences amongst us. The clothes are simple but speak so uniquely on each of the models….an awesome experiment of just how strongly clothing and individual voice is connected. Next comes the delightfully beautiful collection from Monica Lyon of D8agirl. Her detailed Victorian-inspired looks are ones you cannot direct your eyes away from. This stunning piece with fringe, embroidery, epaulets and matching gloves could easily have gone in the wrong direction but the asymmetrical hem and lightweight fabric keep it sensible. Of all the looks, the makeup work of the team led by Mark Navarro really stands out here in bringing classic styling to a modern and editorial place. 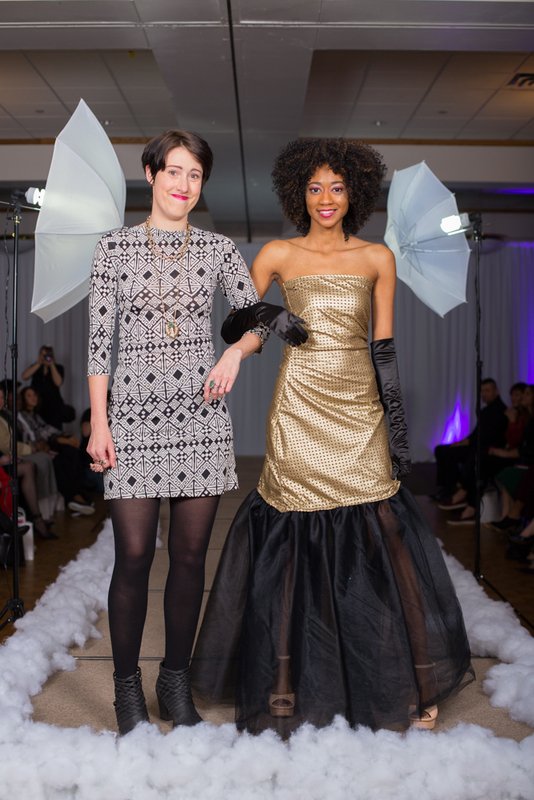 The party continues with a collection from Coty Schooley of Coty Clothing. The audience collectively knows they are in for a treat when the prints start rolling out. Coty’s show ends with a comical walk down the runway alongside the model, bringing a lightheartedness to the show that is reminiscent of the unique and smile-inducing pieces he creates. The room quickly gets quiet as some of the most darling young children start walking the runway. Brittany Chipera’s collection from Craft N’ Chaos isn’t just meant to be adorable (which it surely is), but is meant to show children that expressing yourself through what you put on your body isn’t just for adults. Brittany’s show could not have been more appropriate. Amidst all of the atrocious acts of sexual assault that are courageously being brought to light recently, seeing a young boy walk out in a tee with the words “boys will be decent humans” is one of the most powerful punches this show throws at its audience. The audience is really warmed up at this point as Anny Vang-Lee sends her From Anny collection of pieces down the runway. Anny’s ability to reflect personal style and how different it looks for each of us is unmatched. The subtle pattern mixing and outfit details here tell a lovely story of a complex and unique woman. The feminine lace detail in the top paired with the newsboy style cap and fishnet stockings are a beautiful dichotomy. Way the Label by Regena Yu and Heidi Woelfle is up next. Any woman would kill to have these versatile items in her wardrobe to add confidence and ease to everyday dressing. The silky matching pajama-style blouse and pants can work year-round and be worn interchangeably. Their pieces are a perfect canvas on which to express your style voice to the world. So. Much. COLOR! Sylvester Ndhlovu’s collection from Ruva Afric Wear shows us all how to embrace color, pattern and culture everyday. He takes classic tribal patterns and makes them modern and accessible by mixing them with classic blazers and structured skirts. It’s truly hard not to smile when looking at these pieces. Rammy Mohamed closes the show with a poetic collection of special occasion pieces. The modest approach to style is often received with a negative connotation of being too traditional or too “boring”. Rammy’s stunningly modest pieces are quite the opposite; they radiate sophistication and poise. The closer is a truly stunning work of art that changes the aura of the entire room. So…what is fashion really about you ask? It’s about sending an unspoken message to the world about who you are and what you believe in. It’s an unspoken language that we are all born with the ability to speak but so many of us choose to be silent. 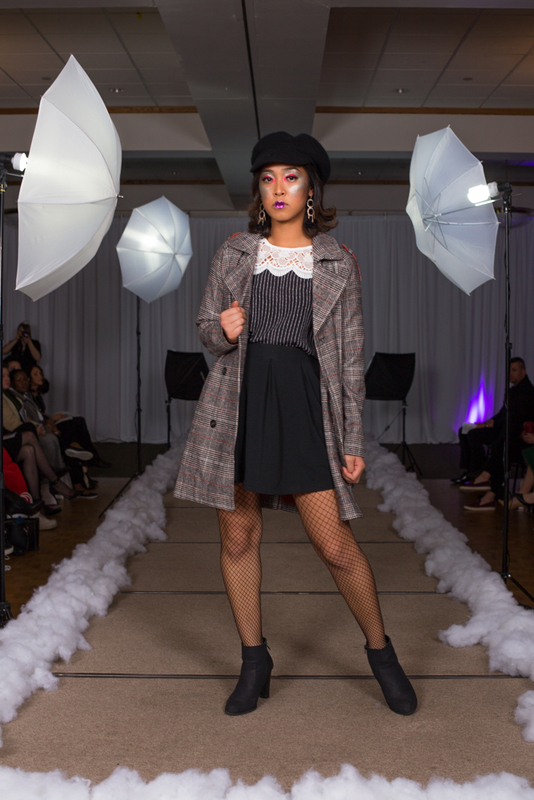 The Volk holiday fashion show presented its audience with a lovely reminder to make your voice heard but to make sure to do so in a way that does not deafen the voices of others. Fashion needs more moments like these. It truly is a December to Remember! To see more beautiful images and content, do not forget to get your holiday issue of the Volk Magazine, available today! Love this event recap? Make sure to follow along with Well Layered by signing up for my email newsletter!